My review of Lisa Blower’s Stoke-on-Trent-based novel Sitting Ducks has been published on Structo literary magazine’s website here. Sitting Ducks is a great title and Potteries author Lisa Blower has form for using her home city’s phrases and landscape in her work. Last Saturday I went along to see Lisa in conversation with Staffordshire University lecturer Dr Catherine Burgass. Lisa’s Broken Crockery won the Guardian short story prize in 2009, attracting the attention of agents and publishers and she has gone on to work in academia, radio and publishing further short stories, so I was keen to hear her work and thoughts. (Broken Crockery can be read here). She did confess bravely that she wasn’t Arnold Bennett’s (author of Anna of the Five Towns and son of Stoke) biggest fan either, but it’s refreshing to hear an author looking to the future. The talk, at the third Stoke-on-Trent literature festival, took place in the appropriate surroundings of the Eastwood room at Emma Bridgewater’s pottery in Hanley. North Staffordshire’s economy has suffered with the demise of traditional industry – particularly pottery, coal and steel – but Emma Bridgewater’s pottery is among those attracting increasing trade in keeping with Lisa’s bright, forward-looking attitude. Lisa read several extracts from Sitting Ducks and I bought a copy and chatted to her afterwards. She is sincere and passionate about what she wants to write and not to be dissuaded by the views of others. I asked her how she’d adjusted to writing novels and she admitted it had been difficult, saying she was a short story writer at heart and describing her novel as connected stories. Sitting Ducks is a series of arguments or rows, Lisa said. It is why she’s opted for Rounds (as in boxing) rather than chapters. I look forward to reading Sitting Ducks, which I’ll be reviewing for Structo, and look forward to hearing more about Lisa. If you’re a Scottish crime writer then it’s a given that newspapers will refer to you as ‘the next Ian Rankin’ or the ‘natural successor’ to Ian Rankin. I’ve seen similar book blurbs for Alex Gray and lately Gordon Ferris and the latest star of Tartan Noir has joined them. Yes, James Oswald has written a trilogy (so far) of detective novels and yes they’re based in Edinburgh, but they’re in no way derivative. The trouble is perhaps these elements are almost inevitable. Murder enquiries don’t close down at 5pm and wives and husbands don’t appreciate bank holidays and weddings being interrupted by stabbings and muggings. 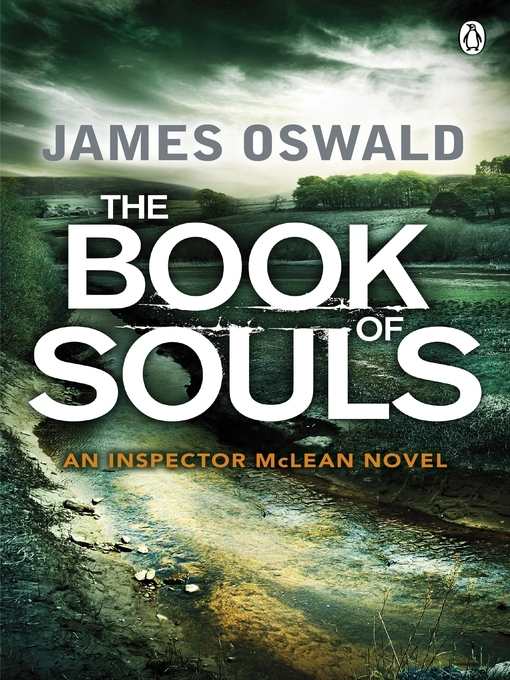 Detective Tony McLean works too many hours, likes a drink and his wife was murdered – an emerging theme in the back story and critical to the second novel The Book of Souls. He drives an ancient Alfa Romeo (many detectives love a classic car – check Morse’s Mk 2 Jaguar and Bergerac’s Triumph Roadster) that belonged to his grandmother and seems to have inherited a huge amount of money. I like McLean because Oswald’s handling of character treads a tricky but convincing line between a caring and sympathetic, yet struggling (emotionally, at least) detective. McLean throws his body on the line to protect others but he fails to visit a constable in hospital who was seriously injured when they went to a fire-ravaged building together. He’s human, not superhuman, like the rest of us. He doesn’t find time for relationships, but it isn’t just his workload it his past that overshadows any chance of moving on. 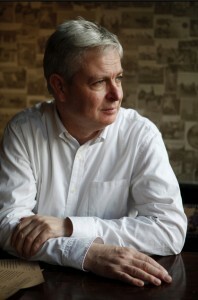 Edinburgh is important in these novels but it doesn’t come through perhaps as much as in Rankin’s writing. Instead it is Oswald’s interest in the magical and supernatural which makes these books exciting and adds a new and fresh dimension. Crime fiction can be extremely gritty and dark – certainly recent TV seems obsessed with truth and reality – but a sprinkling of MR James in these books is a welcome development. It’s ironic that reading Oswald’s website it was this successful element that led to many early rejections. I enjoyed these novels so much I read the first two back to back. I’m looking forward to reading the third – The Hangman’s Song and will be doing so in Oswald’s native Fife. 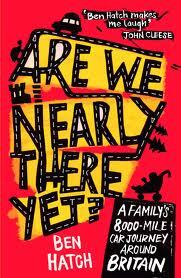 Book review – Are We Nearly There Yet? Ben Hatch’s Are We Nearly There Yet? Anyone who’s lost their temper on the school run or been the target of sustained harmonica playing or crisp munching from the child seats while trying to navigate the North Yorks Moors in driving rain and mist should thank their lucky stars they didn’t share Ben Hatch’s odyssey. Ben, his wife Dinah and two young children agreed to complete a travel guide that meant they’d be cooped up together for 8,000 miles in their Vauxhall Astra while ticking off tourist attractions and leisure activities often at the rate of half a dozen a day. The result is detailed in Are We Nearly There Yet? and makes for hilarious reading. What Ben captures brilliantly is the temper tantrums and the moments when we’re so shattered, so worn down and so desperate we simply don’t care how we lash out and who’s in the way of it. In the Wedgwood Visitor Centre near Stoke Ben bravely ushers his family into the demonstration area as an anxious PR executive looks on.. There is sadness and tenderness along with the humour as Ben deals with his father’s terminal illness and breaks off his journey for family visits. Ben is also great on the insecurities that arise and the blagging of free trips and accommodation. This was my first read chosen from my Christmas presents. Fully recommended and very funny. It was the hedgehog (melon wrapped in silver foil) and spiked with cheese and pickled onion nibbles that got my attention…..
Jenn Ashworth has written three novels – the latest The Friday Gospels – has picked up a number of excellent reviews, but her first novel A Kind of Intimacy should not be overlooked. I was given the book, along with a handful of others, by Writing West Midlands and it sat on my shelf for a few weeks because, judging by the cover (see alongside), I wasn’t sure it was my kind of book. I can’t remember why or when I dipped in but I was hooked and delighted I did. Annie, the central character of the novel is a wonderfully complex creation. She’s morbidly obese and lonely but always hopeful things will get better and by turns obsessive, loving, needy, frightening, resilient and desperate. Annie is in search of love and focuses her attentions on the guy next door, but her size brings a number of encounters with men out to use her. In less able hands Annie’s escapades could easily have made her into a difficult and deranged character we feel no sympathy for, but she is a survivor and the book is full of humour. So many books are set in London or other major global cities so I particularly enjoyed Ashworth’s setting of coastal Lancashire. I passed the book onto my wife and she was hooked too. As for the spiky hedgehog – I had to tweet Jenn Ashworth about that. My mum and her friends used to do the same thing for kids’ parties. A powerful childhood memory. I look forward to reading more of Jenn’s books. Her website, featuring some great images, can be found here. 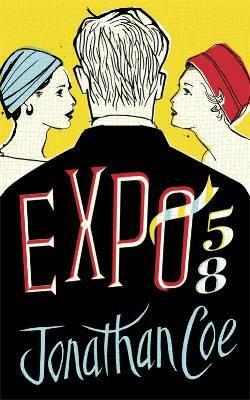 A short reading from Jonathan Coe’s latest novel Expo 58 brought chuckles and snorts from an enthusiastic audience at the new Library of Birmingham. He read a section of dialogue in which his characters debated whether a toilet should form part of the British exhibition at the Brussels World Fair or Expo 58 of the title. How typically British when the Cold War superpowers were beginning to assert themselves and make bold statements about their national identity just a few feet away. It’s perhaps this very British humour that makes Coe so accessible and enjoyable to continental readers. While the superpowers of the US and Soviet Union vied for supremacy at Expo 58, dear old Britain opened a pub called the Britannia which turned out to be surprisingly popular with visitors. The Germans aren’t so keen on his work, he says – excepting his previous novel The Rain Before It Falls – but he has a strong following in Italy and France. Coe’s works have been translated into many languages and he went on to describe the perils: a castration scene was added to one of his novels without his knowledge; What a Carve Up! simply wouldn’t translate as a title and, perhaps with a nod to the atmosphere of espionage that runs through Expo 58, the German publishers have opted for From Brussels with Love instead. Throughout the talk he made reference to films and comedy that have been major influences. The Two Ronnies have provided character names and he adores Porridge (he worked with its writers Clement and La Frenais on the TV adaptation of The Rotters’ Club. He’s a fan of Eddie Braben – whose prolific output featured everywhere from Round the Horne to The Morecambe and Wise Show – and the Ealing Comedies. I was able to ask him if he felt comic literature wasn’t taken seriously enough, giving the example of David Nobbs’ often-overlooked novel The Fall and Rise of Reginald Perrin. ‘There is a bit of snobbery, about what is high art and low art,’ he said, referring to the reception comedy often receives. Coe grew up in south Birmingham, but has lived in London for 25 years. He said he still feels like an outsider writing about the capital and doesn’t believe he could write with the confidence of Londoners such as Peter Ackroyd or Zadie Smith. His mother still lives in the Midlands and he hinted he was thinking of returning, with the new library being an attractive selling point. I’d like to thank him for drawing my attention to the 1961 film What a Whopper – it’s now on my catch-up list. Last night’s event (October 10) was part of the Birmingham Literature Festival, which has also featured Benjamin Zephaniah, Lionel Shriver, Carol Ann Duffy and Germaine Greer among others. It’s not the kind of cover I’d usually pick up, be attracted to. Yes, despite the phrase we do judge them by their covers with all kinds of subtle messages being sent to the reader by marketing teams. 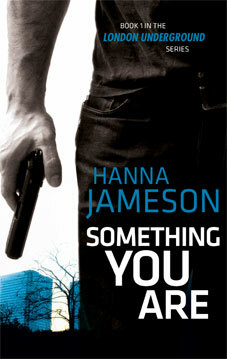 I was sent ‘Something You Are’ in the post by a mate from South London who’d been unable to put it down on a recent holiday. So I decided to give it a try having had a few good recommendations recently. Plus, Keith has spent nearly thirty years policing north and west London so if it wasn’t convincing I doubt he’d have rated it. The black jeans, black T-shirt and hand holding an automatic on the cover (left) put me in mind of ex-Forces tough guys dispensing their own kind of justice. These novels are good when they’r done well, but there are many poor imitations. I’m glad to say Hanna Jameson’s first book in her London Underground series doesn’t suffer from a one-dimensional plot; it’s far more interesting and complex, but certainly brutal. When Emma Dyer goes missing Nic Caruana is called in to help and drawn into the unorthodox world of her warring parents. Although Caruana is a tough guy who takes people out for a living Jameson quickly ensures he is caught between the threatening violence of her father and lust for her mother despite her frightening and random behaviour. Nic’s background is respectable, middle class. He can find himself taking afternoon tea with his estranged family, but escaping to a world inhabited by shadowy Russians and violent nightclub owners. This duality is reflected in Nic’s personal relationships – his lust for Clare and his fondness for his flatmate Mark. This first novel in the series is fast and well plotted. I’m looking forward to reading the follow up, Girl Seven.